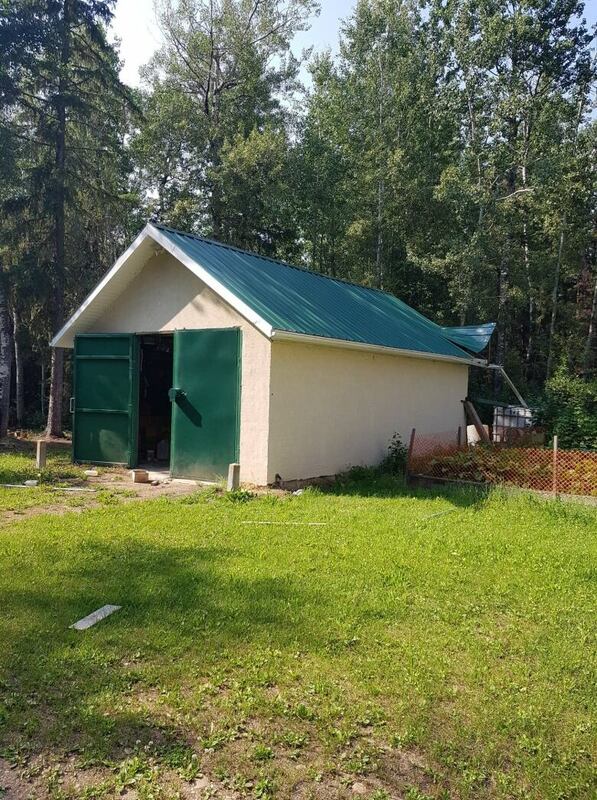 The northern Alberta hamlet of Calling Lake is dealing with a spike in break-ins, with 87 incidents reported so far this year. Barb and Chris Flis thought they had done everything they could to keep their cottage secure. Most recently, the couple installed construction-grade steel plates over every window and door. 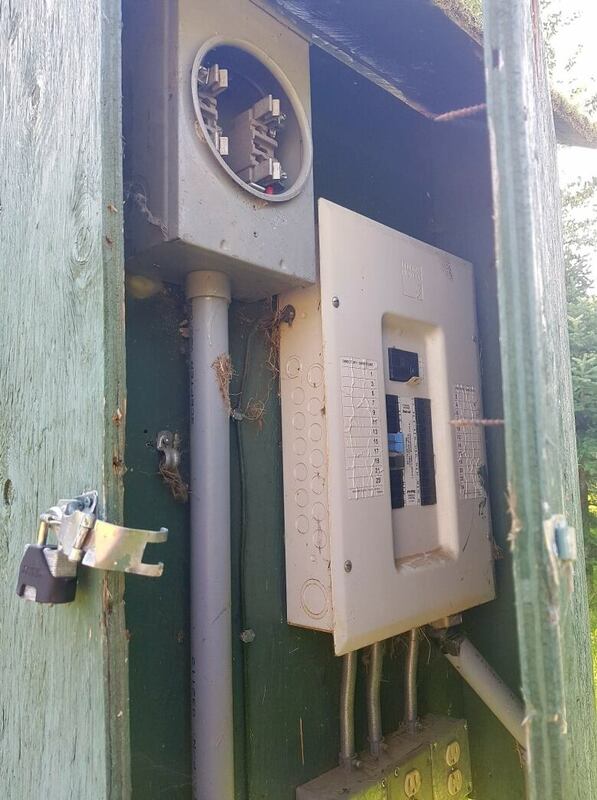 The couple locks the plates in place when they're away from the property, located in Calling Lake. But last week, they experienced their 25th break-in in 15 years. 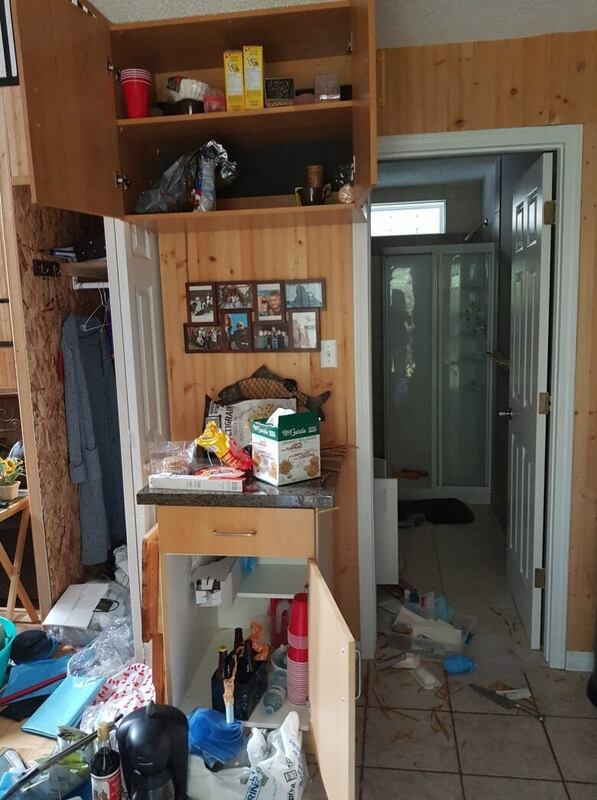 "They took everything," said Barb Flis, explaining that major items such as their hot water tank, and smaller items such as cleaning products, towels and cutlery, were all stolen. The robbery is part of a spike in break-and-enters that have hit the northern Alberta hamlet, about 200 kilometres north of Edmonton. Calling Lake has a permanent population of about 400 people, although that number swells in the summer. There have been 87 break-ins reported to RCMP so far this year. There were 51 break-ins reported in all of 2017, and 87 in 2016. Property crime in rural Alberta is not uncommon. It accounts for the majority of crime reported outside of the province's urban centres. RCMP describe the break-and-enters in Calling Lake as "unique." Flis thinks the thieves entered her garage by peeling up the steel shingles on the roof and dropping into the building. Once inside, everything from tools to fishing equipment was stolen. In the yard, large tire marks near the house suggest that someone hooked up a quad or truck to one of the metal plates that cover the windows, and then ripped it off. Several holes were drilled into their boat, in an attempt to take out the gas. "I can't even describe to you how I feel, you feel so violated. To me, it's unbelievable that at this day and time, in the 21st century in Canada, stuff like this is happening," she said. In the past, thieves have tried to break in with crowbars. Expensive, easy to carry items, such as TVs, alcohol or medication were usually taken. More recently, items such as picture frames, spices, and towels have been taken, along with major equipment and furniture. The Flis plan to report this break-in to their insurance company, something they've only done once before. The last time was after a major break-in two years ago, when they claimed $35,000 in damage. The couple is still trying to determine the extent of damage they're now trying to clean up. The Flis said reporting every break-in to their insurance company is expensive and time-consuming. They've had a similar experience reporting incidents to police. "We usually just replace things and go on," she said. "Sometimes we call the RCMP, but it's an unbelievable process. "The RCMP might not come for two or three days." The closest RCMP detachment is in Athabasca, about 60 kilometres south. Calling Lake is located in the Municipal District of Opportunity No. 17, which pays for two "enhanced positions," or RCMP officers who are assigned to the area. "We do have dedicated members from the detachment who police that community," said Staff Sgt. Paul Gilligan from the Athabasca detachment. "But of course, two people doesn't amount to 24-hour coverage or anything like that. So we have challenges with the geography and the time and distance." Add to that dozens of cottages that are left vacant for long stretches of time. "Eighty-seven (break-ins)... when you drive through there, it's not a big community. That's a very high number," he said. Flis said they've met with the previous detachment commander in Athabasca. She wants to raise awareness about how citizens feel vulnerable, and demand some accountability from the municipality within which Calling Lake is located. Victor Gladue is a councillor for Calling Lake in the MD. He also lives in the hamlet. Gladue noted that property crime is a big problem across the province. He feels drug use in the area contributes to a lot of such crime. "If anything, the community needs to do more prevention for addictions, especially drugs. We need to do more," he said. He also thinks it "doesn't help" that the RCMP presence is fairly small.